This morning Everything Everywhere made a number of big announcements at an exclusive event held at The Science Museum in London. Shiny Shiny went along to hear the CEO of the company and (randomly) Boris Johnson introduce us to its re-brand to just EE (much catchier, no? 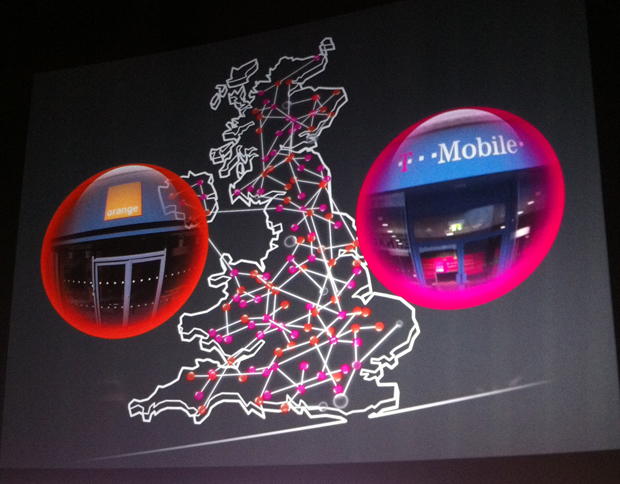 ), which will be the UK’s first consumer 4G service. But what does it all mean? How will it affect our current networks? And most importantly will the highly anticipated iPhone 5 get a look in? So what actually is 4G? The phrase 4G has been bandied around a lot this week, but for those who are a bit confused about the difference between 3G and 4G (FYI Boris didn’t have a clue) then 4G is (as you’d expect), 3G’s successor. It’s worth mentioning that it’s not just about phones, EE is launching 4G mobile services AND fibre broadband, which will mean you can access superfast internet at home, at work and on the move. EE is the new name for Everything Everywhere, because let’s face it that just sounded stupid, like a kid’s TV show or a lame eco initiative. Not only is it going to be the new name for the company, but it’s also what we’re calling the new 4G network too. EE’s new 4G service will launch to 16 cities across the UK by Christmas, which will cover 20 million people (that’s around a third of the population). The company expects nationwide coverage throughout 2013, with ambitious plans to have 98% of the population covered by 2014. According to Swantee, London, Bristol, Cardiff and Birmingham will have the 4G access turned on later today for EE’s engineers to begin testing everything ahead of an official roll out. What does this mean for Orange and T-Mobile? Both Orange and T-Mobile are under the EE umbrella, but don’t worry, your network won’t be affected, gobbled up by EE or changed. All the new plans mean are that both Orange and T-Mobile customers will now get a much faster 3G service, with the company suggesting there’ll be speeds of up to 21Mbps and more coverage than ever before too. From today many Orange and T-Mobile customers will start to see their phone signal change to EE, whether they’re on 3G or 2G, at no extra cost or with any changes to their existing price plans. Orange and T-Mobile plans will still exist and be offered to both existing and new customers, but they’ll also be able to access the new 4G services by moving to EE. What devices will EE launch with 4G? 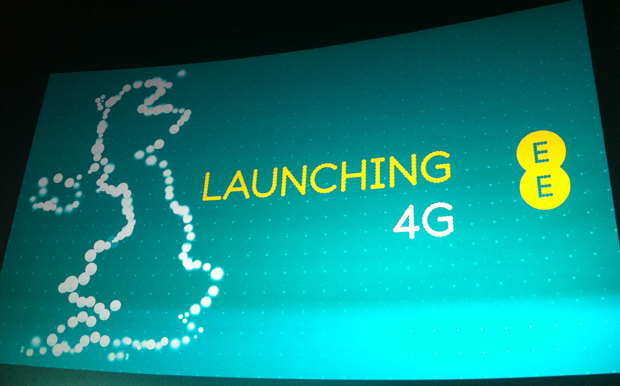 At the EE event this morning Swantee whizzed through some of the devices that EE would be launching with 4G and we’ve just received an email confirming some of them, like the Samsung Galaxy SIII LTE, Nokia Lumia 920, Nokia Lumia 820, The HTC One XL and Huawei Ascend P1 LTE among others. There’s been no official word on whether the iPhone 5 will get a look in to EE’s new 4G network, but Swantee made a pretty obvious joke that a new handset may be joining the line-up very soon. We all know what he was talking about, right?